Dr. King built and expanded this foundation, popularizing the concept and phrase. Today we seek to build that Beloved Community – a world in which racism and bigotry and poverty and militarism is not tolerated and all who live in society can fully participate in that society. To do that, we must work together. It is not good enough to each work in our own silo toward the same end result. We must do the personal work – work to discover how our identities shape the way we are in the world and how we can use our places in society to impact change. There is work to be done there — AND the work of Beloved Community involves working beyond our silos – working as a larger, connected community. “The arc of the moral universe is long, but it bends toward justice” — but only if we bend it. It is about love and equality and progress. And about how connectedness eradicates hatred and bigotry. It is NOT about post-racial society, but about equality and conscientiously going about building relationships — and in doing so building Beloved Community. It is about challenging ourselves, our comfort zones and our biases. It’s about being self-aware when things trip us up like thinking we know best all the time or how we can get caught up in our version of perfection in action, in speech, in strategy. We will make mistakes. We will offend those with whom we seek to partner with. For many allies, egos take hold and individual (and collective) privilege will sets us back. And when these things occur we come back to the relationship, acknowledge our error and move forward. Relationships are messy; given the amount of relationship building involved in creating a world vision of Beloved Community we can expect a lot of mess! In these experiences we grow trust – not because of perfection, but precisely because we build relationships that withstand our lack of perfection. That is what allows us to move forward. What sets the UU Justice Ministry of California apart from political parties and special interests is the same thing that makes us different from any other “philosophically-liberal” secular group. 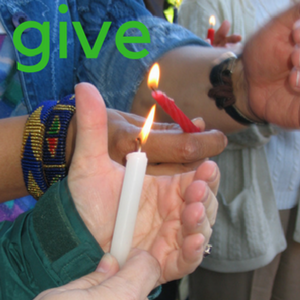 We are Unitarian Universalists – we are called by our shared faith to build this Beloved Community. Our calling is from our shared religious belief that a more inclusive world is not only possible in some far off, dreamy future, but that we have the power and responsibility to live out our moral values and make that world a reality. This is faith in action! And that faith-based vision helps us hear both the immediate call for action, the heeding of which is extremely important to our relevancy and any relationship we hope to build with the #BlackLivesMatter movement, and see toward the need for sustained, relationship-based justice. Public witness is a central component to social justice work; yet, it is just one component. There is no number of people – 1,000, 10,000 or 100,000 – that can turn out to a rally that creates a victory; no number that, when achieved, automatically creates justice. Witness raises awareness, builds the movement and connects our communities for a cause. We must use today’s ‘movement moment’ to build the relationships – build the Beloved Community – that will allow us to achieve the justice we seek as UUs. Beloved Community is both the end goal and the way we work for justice. Entering into real, accountable relationships cultivates the collective people-power necessary to shift the political and social forces in the direction of policies that create beloved community. 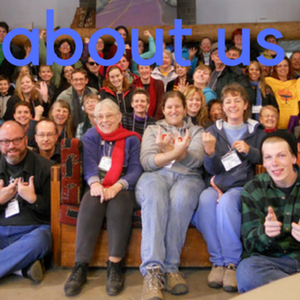 Our faith-based calling to Beloved Community, our relationship-based approach to justice and our long-term vision of achieving it are what set us apart as Unitarian Universalists. It’s why we do the work we do how we do it. It’s why we show up with our yellow shirts time and time again (but are willing to take them off when asked to do so by those with whom we seek to stand in solidarity.) It’s why we will work beyond the immediate public outrage and carry the call of our faith toward justice not just tomorrow, but next month, next year and beyond. This is the very foundation of the work that the Unitarian Universalist Justice Ministry of California is doing. Our relationships in legislative work are founded on collaboration and accountability to impacted communities. Our cluster engagement is connecting congregations and justice leaders to organizations and community leaders in their area of the state — building relationships and making justice together. One example of this can be found in the UUJM LA / San Fernando Valley Cluster. There the local leadership of UUJM is actively identifying and working with partner organizations and individuals to host an economic justice summit that will bring together groups that have never worked together — all with the intent of building relationships, visioning the future and creating a plan to get there through collaboration and mutual respect. This is the very work of building Beloved Community to advance policies that bring about Beloved Community! And our justice action teams are hard at work as well. 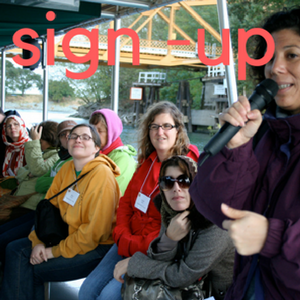 Each issue team works with other organizations to collaborate, share ideas and work together in building justice. Our Environmental Justice Action team works as part of the Safe Water Alliance. This alliance is lead by and accountable to communities impacted by a lack of access to safe, clean, affordable water sufficient for daily human needs. Our six year collaboration has led not only to organizational connections and ties, but to personal friendships and a collective community. There will always be work to be done to move our society closer to Beloved Community. 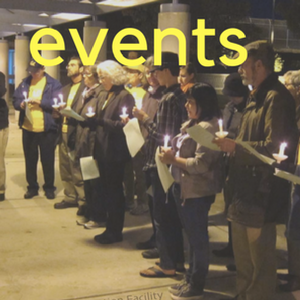 The UU Justice Ministry of California is committed to doing this work grounded in faith, committed to relationship-building and working in a strategic manner. Together we will make a difference – now and in the future.